Many patients dream of achieving straighter teeth, but the thought of wearing noticeable, metal braces is just too much. At Island Daily Dental Care, we understand this concern and want to help you improve the aesthetic value of your smile without having to sacrifice its natural appearance for months in the process. That’s why we offer Invisalign, a method for straightening teeth that is effective, discrete, and convenient. If you’re from the Long Island, NY area, contact our Medford, NY location today to schedule your initial Invisalign consultation. Or, if you’re not ready for a consultation, we still invite you to get in touch if you have any questions for our team. First, though, let’s talk a bit more about this innovative treatment. Invisalign eliminates the traditional bracket-and-wire model from orthodontic treatment entirely, replacing it with a series of clear, custom-made aligners. Our doctors will start the process by capturing detailed impressions of your smile and sending them to the Invisalign lab, who will fabricate a series of aligners. Each aligner will move your teeth just a little. Over time, they’ll shift into their proper positions. Wear the trays as directed for at least 20 - 22 hours a day. Take them out only to eat and clean your teeth. Keep your aligners clean. You can do this by gently rinsing them before you put them back in your mouth, using a toothbrush to clean them once a day, and not drinking anything but water while you’re wearing them. Attend routine checkups here in Medford, NY. These appointments are an opportunity for your dentist to make sure that Invisalign is working for you. You can also take the opportunity to ask any questions or express any concerns you have about your treatment. The most prominent benefit that people love about Invisalign is that it is aesthetically pleasing. The aligners aren’t completely invisible, but they won’t draw a lot of attention to themselves. Plus, they’re way more pleasing to look at than ugly brackets and wires. Another big plus that Invisalign offers is the removable nature of the aligners. Unlike with traditional braces, you won’t have to worry about any dietary restrictions. If you feel like snacking on popcorn or having some corn on the cob, you can do that without worrying. All you have to do is take your aligner out, enjoy your food, and put your aligner back in. And while we urge you to wear your aligners as much as possible, it’s okay to remove Invisalign for a couple of hours if you’re attending a special event, like a wedding a graduation. We understand that you don’t want even clear braces to interfere with your photogenic nature. It’s generally faster than traditional braces, taking an average of just 12 to 18 months. Of course, exactly how long your treatment will take depends on how far your teeth need to move. You might be able to start seeing results in just a couple of months. Many insurance plans are willing to pay at least part of the cost of Invisalign. Quite a few patients have noted that Invisalign is more comfortable than traditional brace because there are no metal parts to irritate the mouth. It’s easy to keep your teeth clean. You’ll be able to brush and floss as you normally would without trying to maneuver around brackets and wires. The best way to find out if Invisalign is right for you is to come into our office for a consultation, but the chances are good that it will be a fit for your situation. This treatment is effective for most orthodontic issues, including crookedness, malocclusion (a bad bite), and gaps between the teeth. However, some severe problems may require traditional braces. Invisalign is generally best for adults and teenagers rather than children because kids may not have the self-discipline needed to wear their aligners as much as they should. If you get Invisalign for your adolescent child, you can monitor their compliance via a small blue indicator on their aligners. 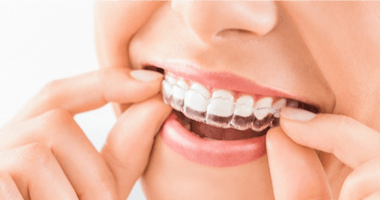 Clear braces are a fantastic option for anyone who wants to achieve straighter teeth without suffering through the stigma and discomfort of traditional braces. If you would like to learn more about this treatment, please get in touch with us! Invisalign sounds like an excellent way to achieve the straighter smile you’ve always wanted, but how much does it cost? 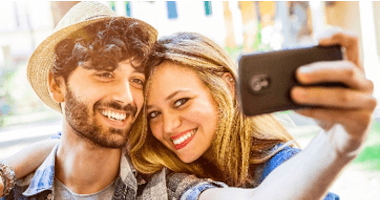 Invisalign treatment is typically comparable to the cost of traditional orthodontic treatment; however, because each case is unique, your final cost is determined during your consultation with your dentist in Medford based on the length and complexity of your specific treatment plan. Our treatment coordinator is happy to help you determine how to fit Invisalign treatment into your budget without breaking the bank.